Girls Apron Set 40% OFF With Code!!! 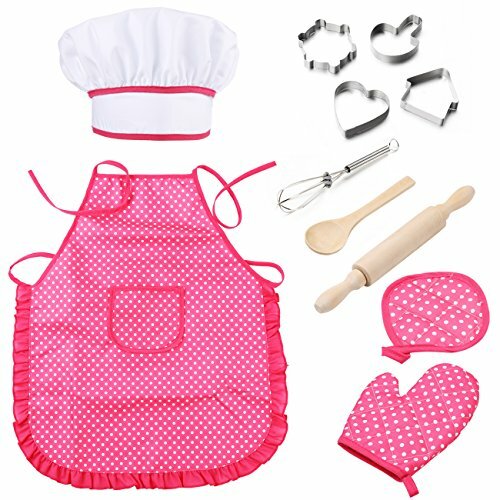 ( Material: The Outfit Pattern of chef costume is white dot pink background, with ruffle trim. The chef's hat is elastic, and the apron has adjustable Rope and front pocket. The spoon and rolling pin are made of wood. There are 4 different shapes cookie cutters, make the kids pretend play games much more fun.